Just as everyone expected, it's the weekend again. For a while there it looked like we'd never see Saturday, but here it is, waiting with open arms. We're kicking off our boots and settling in for a few days of gaming and... well, chores. Let us know about your weekend plans in the comments below! Javy Gwaltney – When I'm not writing, I'll be taking up in a cafe and trying to make progress in Octopath and finishing up Mega Man X2. Also, hey, did you know those Mega Man X games are really good? Weird. I wish there had been a whole following dedicated to telling me just how good they were. The world of video games is really slacking in that regard. Suriel Vazquez (@SurielVazquez) – After an incredible weekend at Evo I'm predictably back on my fighting game BS. Dragon Ball FighterZ is taking up most of my training mode time, but I do plan to poke around in Street Fighter V as well (I'm mostly excited for the new stage, honestly!). I'll try to squeeze some Dead Cells and Hollow Knight in where I can, though! I've heard those games are good. Leo Vader (@leovader) – Honestly, I don’t mean to devote my life to Siege but it’s happening. My new 144hz monitor has turned me into an unkillable gaming god. I’m excited for those September releases to start coming out so I can switch it up, but until then the lord Tom Clancy gets my undivisioned attention. Happy weekend! Ben Hanson (@yozetty) – This weekend is devoted to my friend’s wedding. I have to give a speech and am uncontrollably nervous about the whole thing. Maybe I’ll find some time to keep plugging away at Dead Cells, it’s not my genre cup of tea but I want to understand it better and give it the ol’ college try. Other than that, I should be playing board games with Game Informer’s wonderful interns on Sunday. Kyle Hilliard (@KyleMHilliard) – I am going to do so much laundry. It’s going to be insane. My house is going to be like the scene from Fantasia where the tower is covered in soapy water and Mickey is frantically trying to murder sentient mops with an axe. That’s going to be my house this weekend. I will also play some VR games, too. 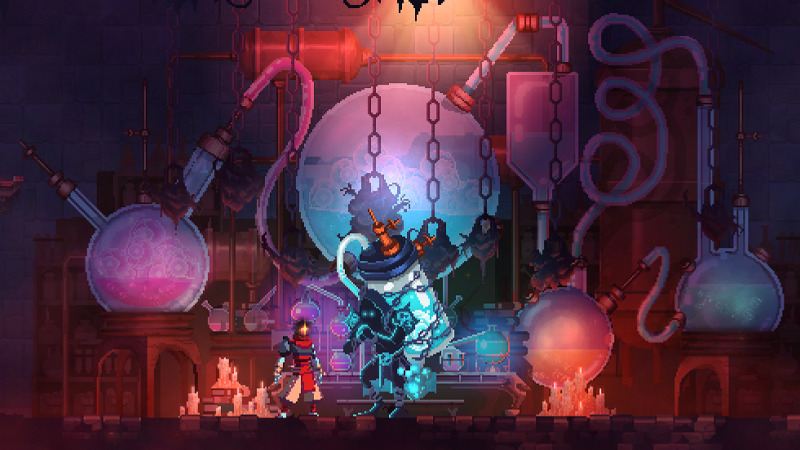 Imran Khan (@imranzomg) – This weekend, I plan to play the hell out of Dead Cells. I’ve also been feeling a weird itch to play Bloodborne again despite getting the platinum trophy on it, so maybe I’ll start a new game and stream some of that. Brian Shea (@BrianPShea) – I won’t have a ton of time to play games this weekend, but when I am in front of my collection, I’m probably going to be playing Dead Cells, Madden 19, and Telltale’s Guardians of the Galaxy. Jacob Geller (@yacobg42) – My lease is up this weekend, so I'm uprooting from my bougie student apartments and moving into a short-term Airbnb. If I survive that process, I'm hoping to make the most of my last weekend in Minneapolis by visiting some local waterfalls and eating obscene amounts of food. Derek Swinhart (@Derek_Swinhart) – I will be pondering the existence of The Quiet Man and how majestic it truly is. On top of that I will be playing some Splinter Cell: Blacklist which is way better than I remember. Camden Jones (@CCJ1997) – I'll be moving half of my stuff back to Chicago, doing some school work, setting up utilities, and working at my other job. Hopefully I'll have some time to help my brother finish grinding the Solstice of Heroes armor so I can finally escape Destiny 2's sweet, beautiful clutches for a while.